Our Commercial Print service offers offers a broad range of formats, such as brochures, catalogs, postcards, pocket folders, sales sheets, self mailers and much more. The latest equipment allows us to accommodate the smallest sheet-fed job to the largest web job. The latest presses and color manage- ment systems ensure the most vivid finished products. Customers keep coming back because we deliver on promised deadlines and work very hard to insure that every project is produced hassle free. 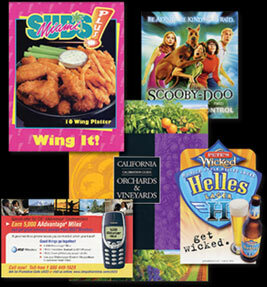 We are uniquely positioned as a full-service provider of multi-color direct mail and promotional printing products.